The title of Oliver Laric’s exhibition at London’s Austrian Cultural Forum, much like the artwork in it, is not original. 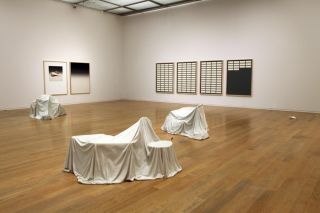 But then that’s the point, as Laric explains: ‘I don’t see any necessity in producing images myself – everything that I would need exists, it’s just about finding it.’ This is Google as practice; art that addresses and operates through the mechanisms of contemporary image circulation, limitless reproduction included. It’s just this open-source attitude that the exhibition’s title references. Lifted from a letter of 1549 – written by Italian sculptor Primaticcio when Henry II of France gifted some of his moulds to the Netherlands, so that Mary of Hapsburg could have her own replica classical Greek and Roman sculptures – the quote serves as an apt frame for Laric’s de-authored presentation of objects from antiquity. 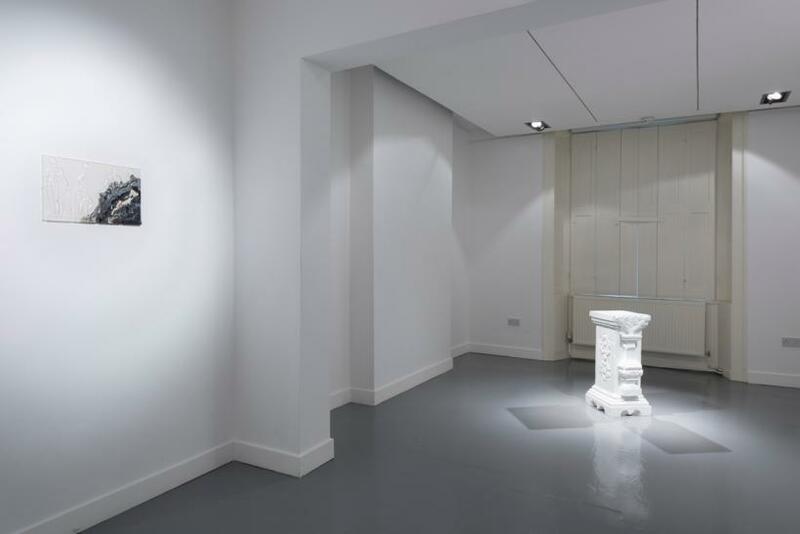 The exhibition (Laric’s first solo show in a non-commercial venue in London) presents a concise selection of the artist’s recent sculpture. 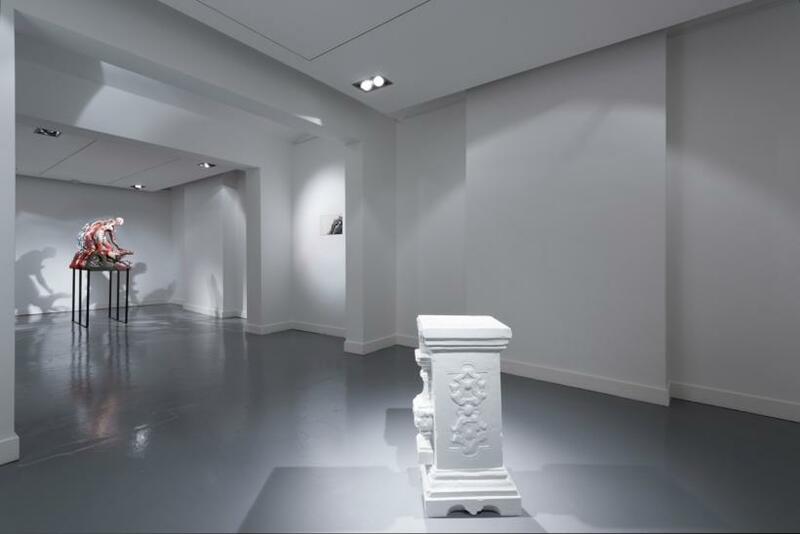 The display is prefaced by what appears to be a white marble column, though gallery lighting gives the lie to its constitution, revealing the seemingly worn surface’s plasticky sheen, devoid of variation in colour and tone. 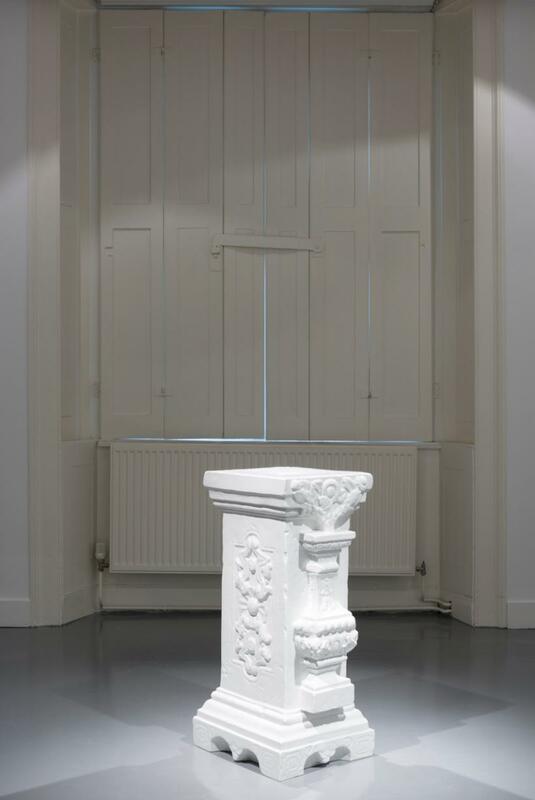 This ghost object is ‘Yuanmingyuan Column’ (2014), a print from a series of 3D scans that Laric made of seven marble pillars from Beijing’s Old Summer Palace. Part of the collection of Bergen’s KODE Art Museums until last year, these pillars (stolen by European troops in c.1860) were recently returned to China. Scanning the pillars before their transfer, Laric uploaded the results to a website where they can be downloaded for use, copyright-free. Turning claim to physical ownership on its head, the scanned columns also raise questions about authenticity of visual experience, what Laric calls ‘viewing the real thing’. 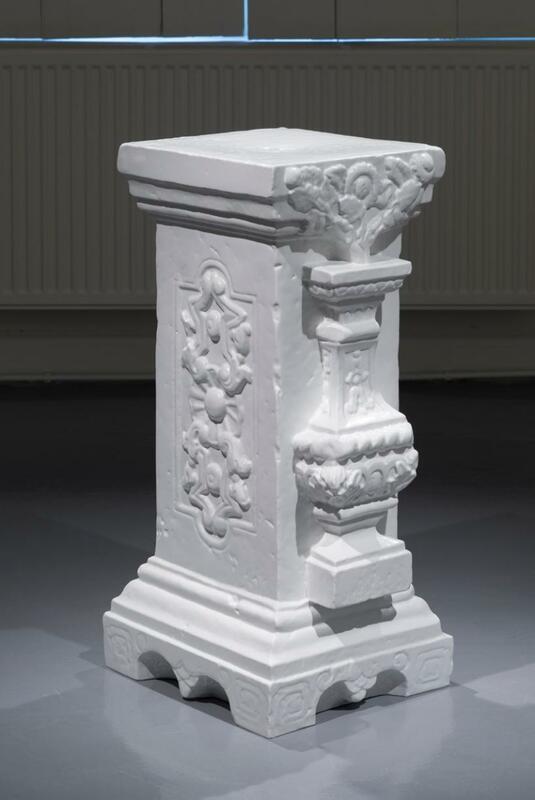 ‘Yuanmingyuan Column’ pulls in opposite directions: its life-size scale gives a sense of sharing space with the original sculpture (interestingly, the versions shown at Bergen’s Entrée Gallery last year were much smaller), while its unreal whiteness repels this impression. 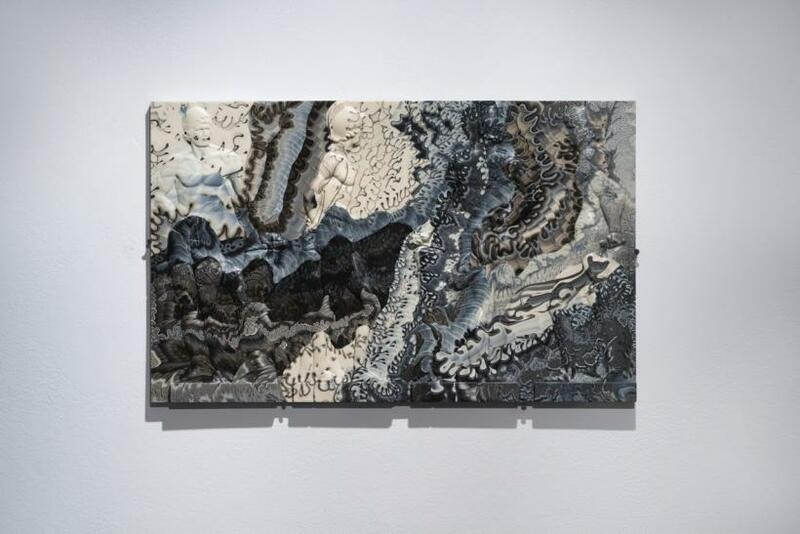 The concerns broached by ‘Yuanmingyuan Column’ resurface in the more recent works on show. These sculptures, all made in 2015, derive from Laric’s ‘Lincoln 3D Scans’ (2012–14): digital renderings of objects from The Collection, the city of Lincoln’s archaeology museum and art gallery, produced through a Contemporary Art Society commission. A dedicated website for the project makes objects from the 2nd century through to the 20th accessible as downloadable polygon meshes. 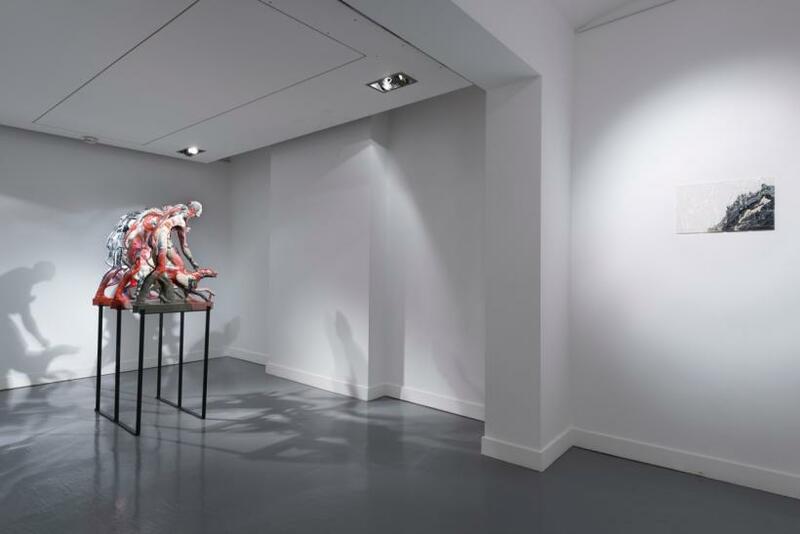 In a demonstration of images’ potential to roam freely through online circulation, two neo-classical sculptures from Lincoln – John Bacon’s ‘Mars’ (c.1770) and John Gibson’s ‘The Hunter and His Dog’ (c.1847) – appear as digitally generated avatars in the Embassy’s gallery. Much like the artist’s 2008 video ‘Touch My Body (Green Screen Version)’ – where the work was concerned with its own onward transmission, what other internet users might do with the green-screened backdrop hugging Mariah Carey’s undulating curves – Laric’s Lincoln scans provide points for departure from the original, as the sculptures at the Austrian Cultural Forum demonstrate. Drizzled layers of pigmented polyurethane used in two friezes, both ‘Mars’ (2015), create a brecciated, bedazzling effect, making the contours of Bacon’s figure hard to read (for one frieze, Laric coloured only a corner of the otherwise clear plastic, so that this effect is more pronounced). 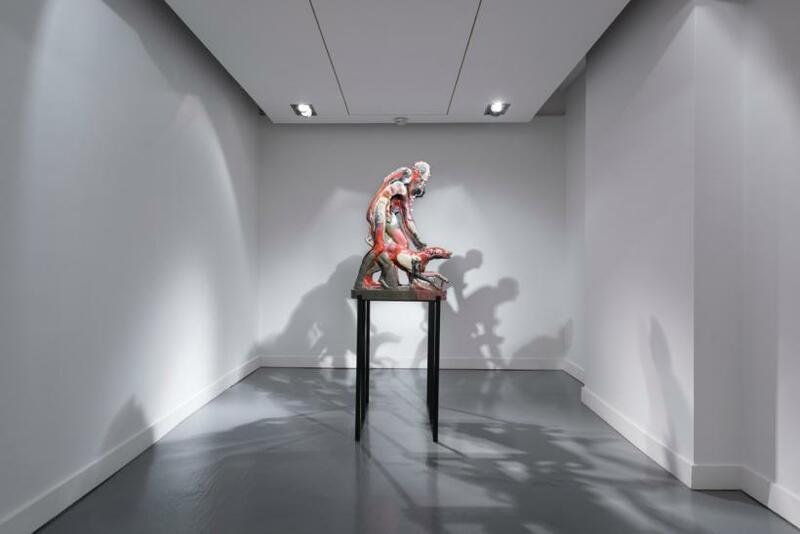 Across the gallery, three polyurethane casts of ‘The Hunter and His Dog’ (2015) are presented in a comical-looking triple formation, identical in gesture but unique in their unpleasantly visceral pigmentation, the swirls of which were determined partly by the resin’s curing. 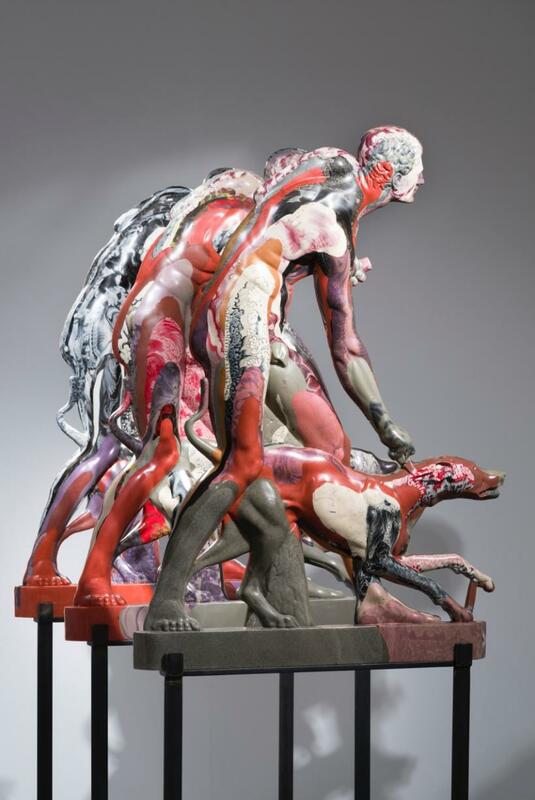 The reverse of each cast of ‘The Hunter and His Dog’ reveals its facture: polyurethane built up in layers that ooze over one another. 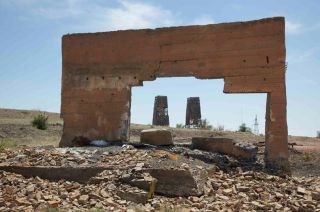 These structures are visually reminiscent of the metamorphoses that populate Laric’s video works (such as the untitled animation showing in the current New Museum ‘Triennial’), where one form continuously gives way to another with a rapaciousness that suggests the interchangeability of images consumed online. 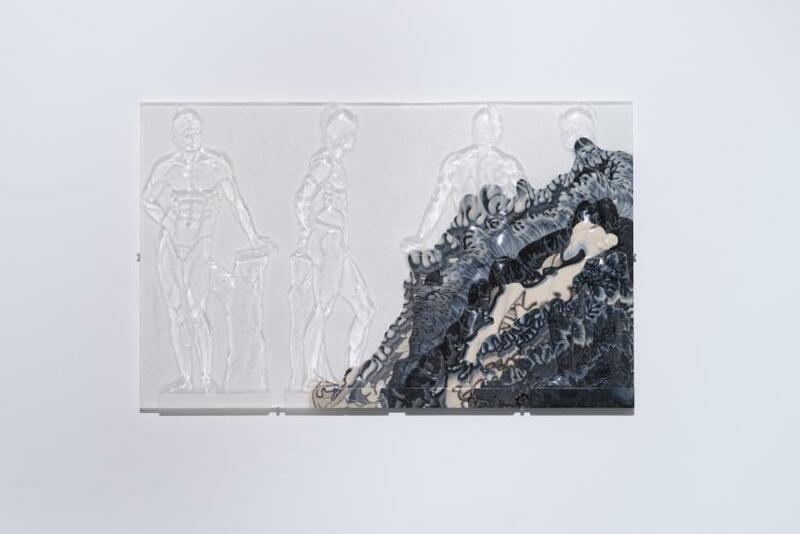 Laric takes a similar approach for this exhibition, casually pulling together sculpture far removed in time and geography in the manner of an online browse. Does such digital promiscuity damage ‘his majesty’s casts’? 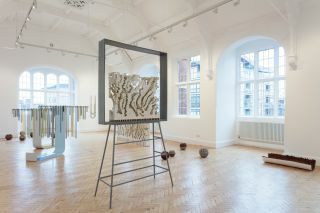 It’s a sophisticated, wholly ambivalent response that Laric offers, and the Austrian Cultural Forum – a venue off the beaten track, in leafy Knightsbridge – should be rewarded with high visitor figures for providing it a platform.